17 oz. 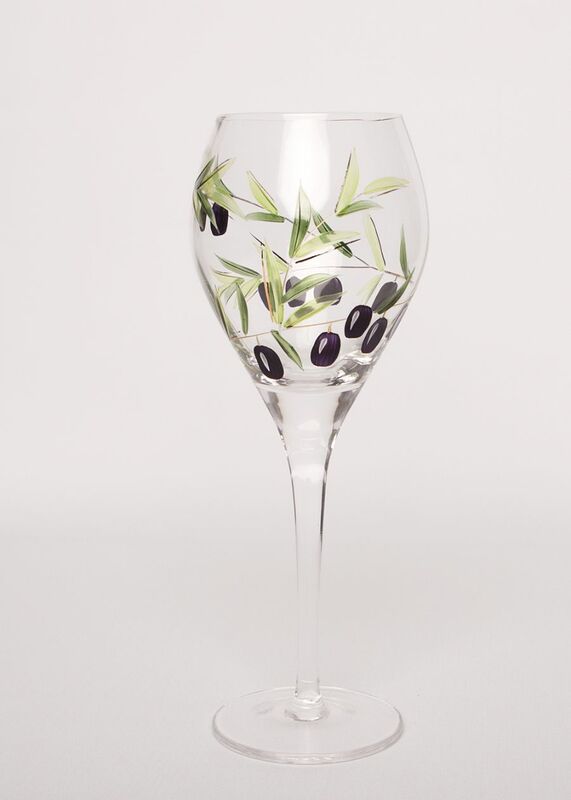 Red Wine Glass features a classic olive branch design with 24k gold accents. The olives are a beautiful deep purple with gold accent on the leaves of the branch. Measures 10 inches tall and sold in sets of 4.